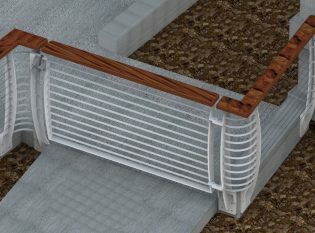 Description: White Keuka Style cable railing. 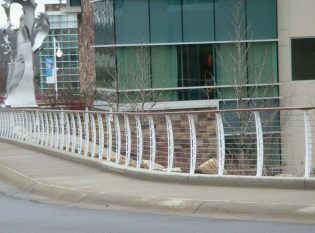 Keuka Studios custom made this commercial cable railing system for the Lakeland Healthcare hospital in Lakeland, Michigan. 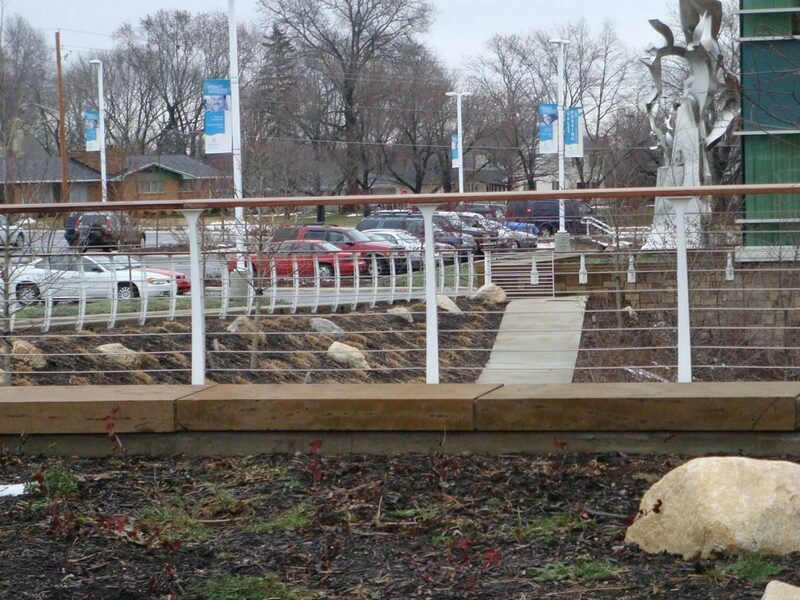 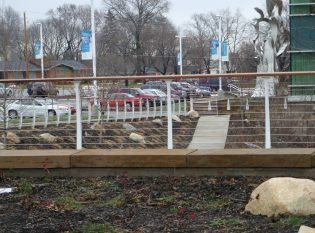 For the railing that directly surrounds the hospital building, we fabricated a simple system with white powder-coated steel Keuka Style posts. 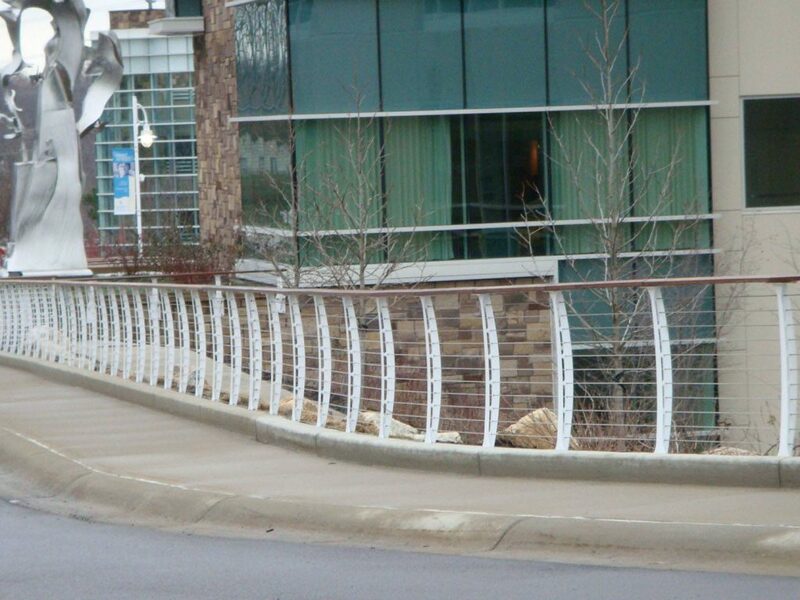 For the landscape retaining wall, we fabricated a fascia-mounted railing system. 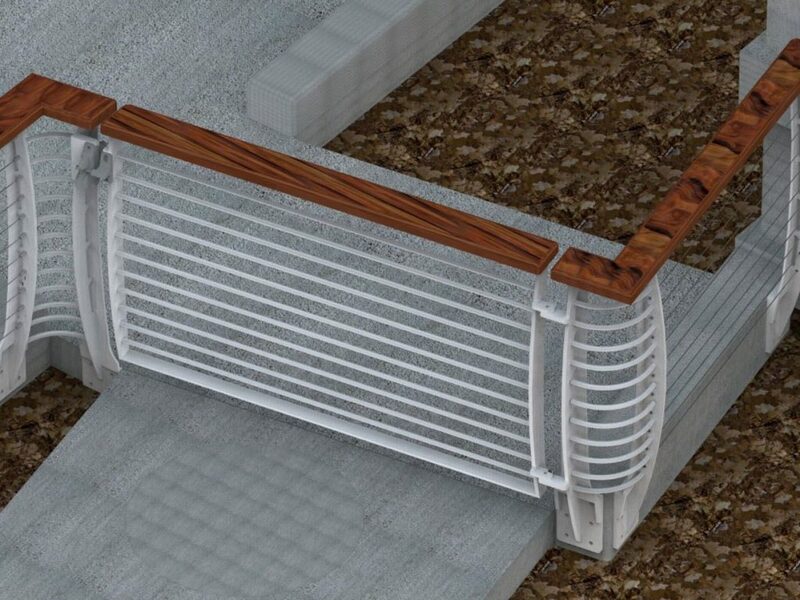 Lastly, we made a surface-mounted system for the curved concrete retaining wall in the parking lot.